Xath Cruz worked for DDB, one of the biggest advertising agency in the world, for more than seven years. She now applies her experience in helping start ups and small businesses build their brand using digital and non-traditional approaches. Click here or tweet her for inquiries. Click here for part 2 of Marketing Planning Process. Many digital marketers online never experienced solid marketing planning process. This is why there are so many digital marketers who lack the “sophistication” that other more experienced marketers have. That becomes evident when they create marketing plans. Often, they turn up marketing plans that were obviously patterned after a marketing plan made by another inexperienced digital marketer which he or she probably got from some marketing 101 class taught by a professor who never actually did marketing, just wrote books on it. The bottomline, there is a huge difference between marketing plans done by experienced marketers and those done by wannabee marketers. In this series of articles, I will be sharing the marketing planning process we go through in the traditional world. We use different marketing/advertising plan formats. Although you will need to add and revise this to make it more appropriate to different digital requirements, these marketing plan formats will lay the foundation to any kind of digital requirements. For this article, I will be discussing the 3 Cs. The 3Cs stands for Competition, Client and Customer. These are the three most important things you need to understand when you are going to create a marketing plan. Start by understanding your client. What is his product or brand? What does he want to accomplish? What makes him believe in his product? What is its position in the market? What is the need the product is addressing? What is he really selling? Is he selling a soap or the effects of the soap? Know the companies, products and brands that are competing against your product. Do your homework and know even the potential competition or past competition. Know their current promotions or marketing efforts. Know their market position and get as much statistics as you can get. Know their unique selling proposition and know what they offer that you don’t. Know what the market likes about them and even their history. Finally, know your target market. Know their needs and their product preference and their buying habits. Know what makes them tick and what motivates them to buy something. Know their demographic (age, social status, gender, etc) but, more importantly, know their psychographics (habits, likes and dislikes, where they hang out, what influences them, etc). Knowing these three things will not be enough for a marketing plan but this will set the groundwork. You will know what you have and what you don’t have. After knowing all these, you need to get down to specifics. Ideally, once you have the 3 Cs, you will know what your challenge is. Here is a diagram of the process. Now, that’s a little confusing. Let’s apply it. The diagram below is the theoretical visualization of the concept. Let’s take a fictional case. Let’s say you were approached by a new company that manufactures and sells portable speakers. Let’s call the brand Little Speakers. Please take note that the case below is fictional. Little Speakers are designed for mobility. They have different types of speakers to accommodate any budget and purpose. They have speakers for as low as $7. They also have 5.1 mini speakers for those who prefer sophisticated sound don’t want to carry big speakers. They currently make their sale through local stores in Florida. They do consignment. They want to expand their market but don’t have yet the budget so they want to do it online. X-Mini - An established mini speaker brand that goes for $30. This is 100% less than the Apple mini speaker but their quality is just as good. They have Bluetooth and wired speakers. They own 30% of the market share. Capsule - This is the#1 low end mini speaker brand made in China. They have speakers for as low as $4 and are available nationwide. Their most expensive line is $20. They don’t do any advertising or marketing. Young professionals or artists whose line of business requires them to use quality speakers. Now let’s put that in the diagram. Those three elements in the middle, complement each other. You will see that neither X-Mini nor Capsule offer 5.1 mini speakers and that is what the market needs. You just found your hero product and your unique selling proposition. Your marketing plan, of course, doesn’t end there but now, you have somewhere to start with. From here, the next question is the Barrier. 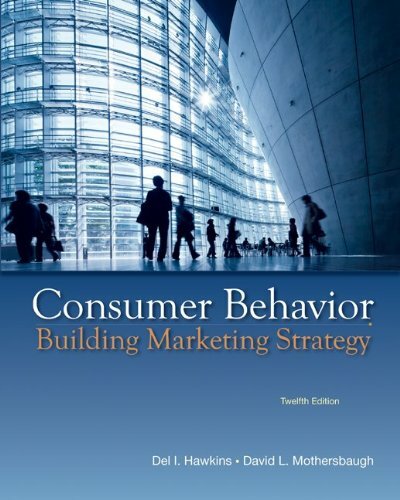 Unlike other marketing plan guidebook written by academicians or inexperienced marketers, this book contains actual marketing processes used by one of the biggest marketing and advertising agency in the world, DDB. Knowing the barrier is another significant part of the marketing planning process. The barrier is the factor that’s preventing your client from achieving its objective. Sometimes, the client already knows what the barrier is. Other times, they don’t. Whatever the case may be, you need to identify it. What is the problem that is preventing your client from making the market buy their 5.1 quality mini speakers? Is it simply lack of awareness? Is it a matter of not knowing where to find the market? It could also be behavioural. For example, mini speakers are mostly impulse buy. It’s something they buy when they are buying something other computer-related products and a store but not something they actively plan for. Those who go for quality speakers mostly request from their company and don’t buy it themselves. Now that you know what your problem is, you need to find the solution. There are different ways on finding the solution but the most effective way is to get to know your Target Market is. David Ogilvy is the founder of Ogilvy & Mather, one of the oldest and best marketing and advertising agencies in the world. 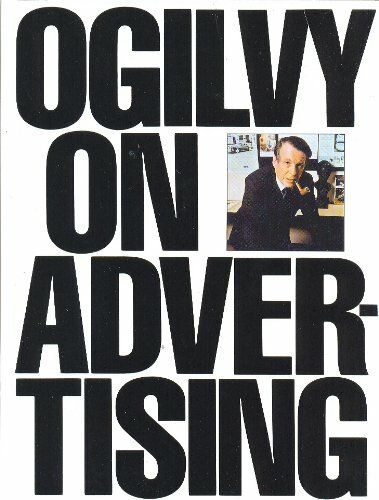 This book offers the principles used by Ogilvy that allowed him to rise from being an account executive for "clients with no budget" to being a legend. Getting to know the target market is probably the most critical step in a marketing planning process. There are two things you need to find out: Demographics and Psychographics. Demographics are age, social status, gender and location. Psychographics include their behaviour, character and habits. It is not enough to know how if they are female or male, teen-ager or middle age. You need to know their media consumption, work habits, who influence them, sites they visit, things they eat, places they hangout, things they like to do, etc. From here, you will find how you can take down the barrier. For example, if the barrier is really just lack of awareness of the fact that they can buy a 5.1 mini speaker, then it’s just a matter of knowing where they are on the web and what they do. Then you can come up with a plan that will catch their attention on these sites. Let’s apply it. They are the multi-screen, multi-income, multi-interest generation. At any one time, they are on at least two screens: TV and computer, computer and phone, phone and TV, etc. They expect all screens to be connected and seamless. For example, when they see something on TV, they expect to find out more about it if they search for it online. When they store a file on their cloud using their tablet, they expect to be able to access that when they use their phone. read reviews and/or look for sites that provide coupons or discounts on the brands they are considering. When it comes to tech products, their priority is durability, performance and price. In that order. Psychographics of target market must be researched. However, there are companies that regularly do market study about different products. Some of these are published online. If you have no research, then make on but never ever invent this part. If you anchor your campaign on an assumption, you will most likely fail. Now that you know your target market, you will be able to pull information from it to create the insight. The insight is the answer to your challenge. The next question is, what is an insight? How do I get it from the Target Market Psychographics? How do I use it for the marketing plan? To answer all those questions and second part of the marketing planning process, click here.